Schools across the country are closing their doors for a much-needed holiday break. The kids are home causing chaos (if only they played the classical piano! ), and you need to get things settled. What does this mean for you? Do you need to hire Local Tucson Movers? Which Tucson Moving Company is right for me? Is there a Tucson moving company that is reasonably priced around? Whether you live in a dorm or an apartment, there’s a good chance that you’ll be (temporarily) moving back home. Here are some tips to get you started on moving out once finals are, well, final from professional movers in Tucson, Arizona. Where should you begin? Here’s an opportunity to clear out some of the clutter that you’ve accumulated over the semester. Most companies, though especially Tucson Moving Companies, say to pack a box of nonessentials. Fill it with things that you have been neglecting: summer clothes and other stuff that you haven’t used this semester. If you’re traveling a long distance, it’s a smart idea to ship them ahead of you, instead of taking them along for the ride. Doing so will leave you with extra space for winter and spring clothes. You’ll be able to start the new year and semester right: with extra room and no clutter. Local Tucson movers agree, to pack everything you’re going to need over the 3 to 4-week break. You don’t need to bring everything with you. You can leave a large part of your wardrobe at home (unless your entire wardrobe consists of six t-shirts and a pair of jeans). When packing, consider the weather. Local Tucson movers and Tucson moving company works won’t need a winter jacket! Remember, states like Iowa or Maine won’t be as warm as Tucson, Arizona! Make sure that you’re aware of the holiday plans. Are you going to a nice restaurant? Will you need to bring something formal? Find out ahead of time so that you, or your hired local Tucson movers, can pack accordingly. If you’re going back to your parents’ house, you likely left some things behind. Take this into account while packing for your move back to Tucson, Arizona. If this is the case, you probably won’t need to pack as many pajamas. If you’re going to be relaxing over the break, you don’t want to worry about how you left your dorm. Turn off all lights and unplug all your electronics. Some schools cut power to the dorms to save on costs, so empty that fridge of perishables. Dispose of all trash and empty your bins. Once your dorm is ready, you can relax with the knowledge that there won’t be any surprises when you return. Heading home for the holidays? 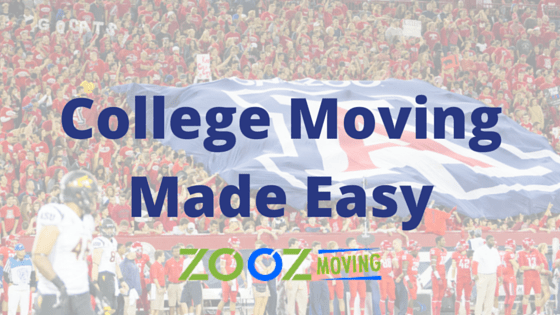 If you’re, like many college students, preparing to make the trek home for the holiday season, leave the hassle of packing and moving to the professionals at Zooz Moving. For years, our team of professional and local Tucson movers have helped local and long distance college students get to where they need to be. From home, to campus and back again, trust the Zooz Moving team to get the job done right. While most people are busy unpacking last year’s Holiday decorations, you may be preparing for a much less exciting task- packing for a local or long distance move in Tucson, Arizona. 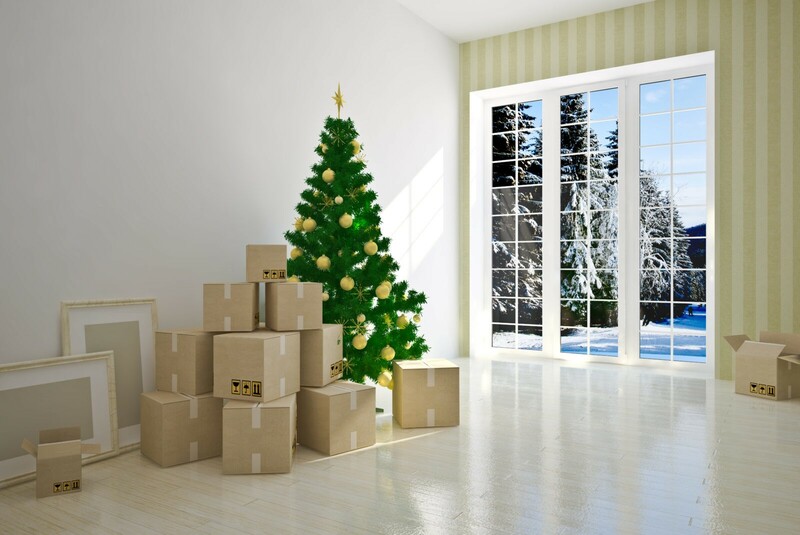 Whether you are relocating down the block or across the country, moving the holidays can be a drag. Which Tucson moving company can you trust? This month, the Tucson moving company experts at Zooz moving bring you three ways to make your upcoming holiday move a huge success. Feel like you have the weight of a piano in your chest? Are you nervously looking for Tucson local movers? Start your search for a reliable and local moving company in Tucson as soon as you know you will be moving. This tip applies to all moves, but even more so for local Tucson moves occurring during the end of the year. 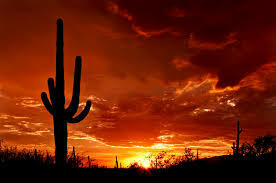 (End of the year moves can prove to be the most challenging times to book a local Tucson moving Company. While the holiday season isn’t exactly “peak moving season,” it can still be hard to find a local moving company, based in Tucson, that is available during the holiday months. If you are planning on moving yourself instead of hiring local movers in Tucson, keep in mind that traffic will likely be heavier than usual, as many people travel to be with their families during this time. If you wish to be one of those people, perhaps take a look at local Tucson movers, or a Tucson moving company, in your area. The holidays are the happiest (and most expensive) time of the year. According to the National Retail Federation, the average American plans to spend an average of $936 during the holiday season. That is enough to buy a nice piano! Consider all of the gifts, food, and travel expenses that you will incur in the following months, and make sure to stay within your budget. There are plenty of simple ways to save while moving. For starters, you may want to consider obtaining free boxes from local grocery stores or restaurants and reusing your old newspapers, magazines, and sheets as packing materials. If you are hiring a professional moving company (especially in Tucson), try to book your move in the middle of the week, rather than on the weekend. While you may find yourself surrounded by moving boxes instead of shiny Christmas ornaments, there are still plenty of ways to get in the holiday spirit. Bringing our no-longer-needed items to local donation centers is the perfect way to give back to your community during the holiday season. Not only will this make you feel warm inside, but will help you downsize your home in preparation for your upcoming move. Don’t forget to ask the non-profit organization for a receipt so that you can deduct these charitable donations next year! We get it. Moving during the holidays is no fun. No one wants to move the piano by themselves. Fortunately, you don’t have to do it alone. Contact the moving professionals at Zooz Moving, the premier movers in Tucson, today and book your holiday move with us before it’s too late. 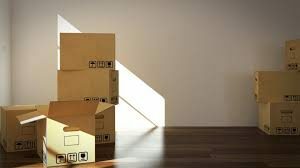 The Zooz local Tucson moving team can help you pack, move, and unpack your home or office just in time for the holidays. Whether you are moving across the street, or across the country, your expert Tucson movers at Zooz Moving are here to help. As you prepare for your local (or non-local) Tucson move, you can count on Zooz Moving in Tucson. 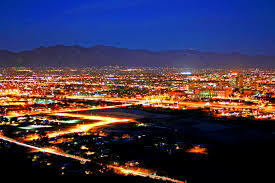 They are one of the most trusted Tucson moving and packing companies. Zooz prides themselves on their careful handling of clients belongings; from small objects like a toaster, to larger objects like a Grand Piano. To book your next move, or to receive a free estimate on our packing and local moving services in Tucson, call Zooz today: 520-447-0900. Few things in life have as bad a reputation as moving. If you walk onto the street and ask the first Joe that you see to describe the moving process, the word “stressful” will more than likely come up. More often than not, this stress is caused by disorganization and unpreparedness. 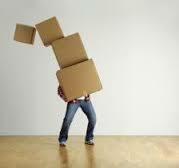 These stressors are can be solved by hiring local movers in Tucson. Though hiring a Tucson moving company may not be for everyone; like people who are interested in moving their own pianos. Tucson local movers know that moving doesn’t have to be the stressful exercise that you’ve probably made it out to be. 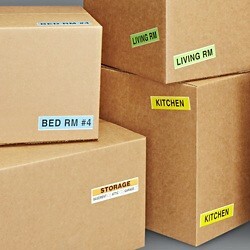 The key to a smooth and efficient move is organization, and the best way to organize your house move is to implement an intuitive labeling system. Follow these easy tips to become a labeling champion! A poor craftsman may blame his tools, but that doesn’t mean that the tools used aren’t important. If you’re going to be a Master Labeler, you’ll want to choose the best tools and use them effectively. During an expensive move, it may be tempting to skimp on the little things and buy the cheapest markers within reach. Avoid the temptation of buying cheap markers and go for a quality brand that you can trust to withstand the move. Top quality writing tools will outlast the move, allowing you to use them around the house long after the last box is unpacked. If you have the idea of utilizing a color coded system, purchase several colors to take advantage of a color coded labeling system. Ideally, you’ll want a different color for each room if possible. At the very least, you’ll want a red marker to label fragile and breakable items. It’s a simple fact of life that you just can’t predict the weather. With that fact in mind, you’ll definitely want something that can withstand heat and rain equally well. Look for a marker with archival ink if possible. This type of ink is designed to last for a long, long time and wheather any wheather. Whether printed or store-bought, labels are a lifesaver. They generally have the names of different rooms already listed, so just fill out the contents. Some even have check-marks, saving you the trouble of writing. You can always design your own labels to add your creative touch! Sure, you already have rolls upon rolls of clear packing tape (and if you don’t, you should), but you can use colored tape to take your color code system to the next level. You’ll want tape that matches your color coded system to spot which boxes belong where at a glance. While entirely optional, a color code system can add an extra layer of organization and eliminate extra questions and stress. The concept is pretty simple. You choose one color for each room and mark each box that is bound for that room with that same color. Let’s say, for example, that you choose to use the color purple to indicate boxes that belong in your home office. You’ll want to use a purple marker on each box that you’d like to end up in the office. You could write the word “Office” in purple ink so that whoever handles the box will know where it belongs. Once this is done, repeat with any boxes that are bound for the office. Now, choose another color and room combination and repeat the process until every box is marked! If you bought colored tape, now is the time to use it! This will allow you to identify a box’s destination at a glance, saving time and improving efficiency. Numbers don’t lie. If colors aren’t your thing, you can always go with the old standby: a numeric based system. This can also be used with a color code system for an even more effective move. The idea is to assign each box a number. Once this is done, create an inventory list and record that number, along with a corresponding list of that box’s contents. For example, we can fill a box with bathroom supplies and label it with a number one( #1) as well as the word “Bathroom” to indicate where it should go. The inventory list will tell you exactly what kind of items are in the box in question. A good number system will save you from having to write out the contents of the box on each visible side. Just write the number in large, legible print and move on! Make sure not to lose the inventory list or the whole system will fall apart. Just remember to make copies in case you something happens to the original list. Save a digital copy on your phone or email it to yourself as an extra precaution. Choose whichever system works best for you. Make sure to mark the top and at least two sides of each box. Any writing should be visible on at least one side if boxes are stacked. Time is of the essence and shouldn’t be wasted needlessly by shuffling boxes around to see what the contents are. You’ll want to cover labels with clear packing tape to protect them from rain. This has the added benefit of preventing them from falling off during transit. Failing that, glue is a suitable, albeit not ideal, back up. If you have a box of fragile keepsakes or collectibles, mark the box as such so that extra care is taken. Write the words “FRAGILE” or “HANDLE WITH CARE” legibly with red or black letters on each side to alert the carrier, your trusted local Tucson movers, to the delicate nature of the box’s contents. Label the box as soon as it’s packed so that you don’t forget what’s in it. Mark contents, destination, and any special handling requirements . If you’re using second hand boxes, check to see if there are conflicting marks. Did someone use them to move? Is there a big #2 on each side from the previous owner? Make sure to cover any old markings with your own labels to avoid confusion. If not possible, make due by covering them with colored tape or sheets of paper. You don’t want your bedroom items to be placed in the kitchen if you can avoid it. If you follow these tips, you’ll be well on your way to a smooth and efficient moving experience. Contact the Zooz Moving team today and receive a free, no-obligation estimate on our full-service packing and moving soltuions. They pride themselves on their careful handling of clients belongings; from small objects like the blender, to larger objects like a Grand Piano. For a five-star moving experience in and around the Tucson, Arizona region, trust Zooz Moving to get the job done right! If you are thinking of hiring a Tucson moving company to transport your items, it is important to ask about non-allowable, or non-transportable items. Many times, local movers in Tucson will limit the items that you can bring on the moving truck in order to prevent danger or liability. Non-allowable items typically include hazardous items like ammunition and gasoline, perishable items like food and plants, and will often include high-value items as well. Before you pack away all of your belongings, make sure you have a plan in place for all of your non-transferable items. While it is a no-brainer that items such as ammunition and propane are hazardous to humans, some items like nail polish and household batteries may seem innocuous to most people. It is still best to make sure what items your Tucson moving company allows. 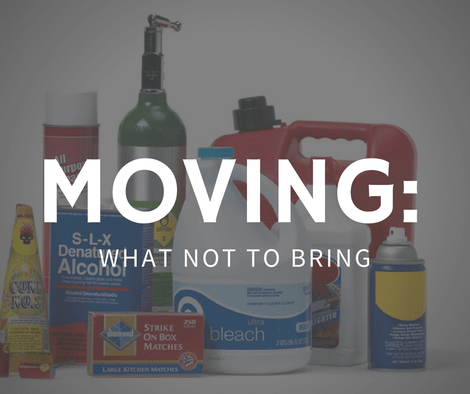 Before you start packing up for your next move, be sure to separate any of the following items and properly dispose of them. If you’re not sure how, contact your local hazardous waste organization for more information. Although not dangerous, you will usually find food items and plants on Tucson moving companies’ non-allowable lists. Ever wondered why? Local Tucson Movers, and all across the country, state that food items and plants can cause spills and attract unwanted bugs and rodents. We recommend giving any unwanted food items away to family or friends. Another great option is to contact your community food pantry or non-for-profit organization and schedule a donation drop-off. It should come as no surprise that the Arizona heat can pose some potential challenges, especially during the summer months. Local Tucson movers are well aware of this fact. The truth is that some items simply won’t survive the move in a hot moving truck and should be moved or packed cautiously using special materials to avoid damage. We recommend taking extra care when packing the items listed below or ask your moving company to provide you with the proper materials to transport these items to your new home safely. Professional movers in Tucson, and across the globe, do not typically like to transport items that hold high-value because of the possibility of loss or damage. If there is any item that holds extraordinary monetary or sentimental value, it is probably a good idea to make special arrangements or move it in your personal vehicle. Some people even choose to place items like expensive jewelry or family heirlooms in safety deposit boxes during the move. Planning Your Upcoming Move? Choose Zooz Moving! At Zooz Moving, we are always keeping your best interest and safety in mind during a move. We pride ourselves on our meticulous handling of the clients belongings; from small objects like a toaster, to larger objects like a Grand Piano. If you are looking for a professional moving company in Tucson, AZ, don’t hesitate to give us a call at (520) 447-0900 today! Packing and moving can be a physically taxing activity, especially when you’re going at it alone. From minor injuries, broken bones, to damaged property, there are several risks to consider when choosing to move on you own. Check out these four helpful safety tips to avoid injury at every stage of your local or long distance move. Here in Tucson, the summer heat can be utterly brutal. While a more insidious danger than pulling your back or dropping a box on your foot, it’s important that you consider the effects of sun exposure and dehydration. 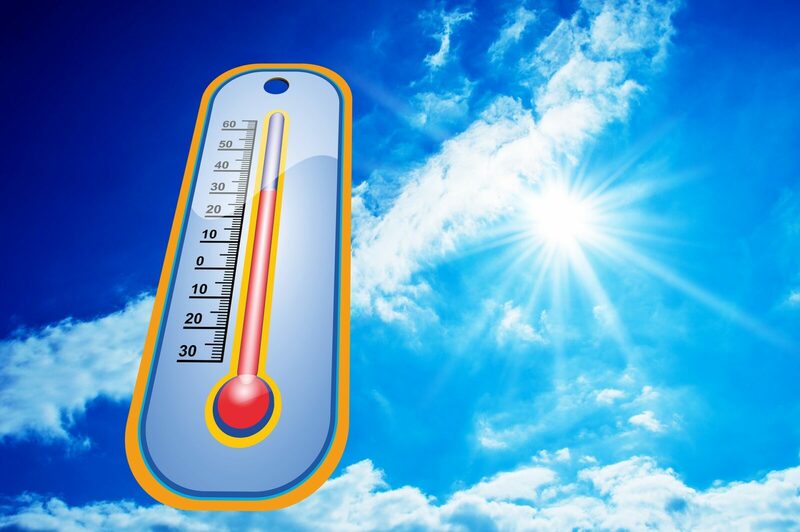 It’s best to avoid the heat of midday entirely by taking an hour or two break, but that’s seldom practical. Instead, as most movers in Tucson can agree on, be careful to hydrate regularly and take shorter ten minute breaks to get your strength back before restarting. Unfortunately, back injuries are all too common when it comes to moving as most local Tucson Movers could tell you. Repetitive lifting can take a toll and weaken the back until it suddenly gives out. There are several ways to protect your back from wrenching. The first is to never pack boxes that way more than 50 pounds. Keeping boxes to a more manageable size decreases the chances of losing control of it while lifting, and lessens strain on the back. The old saying about lifting with the knees is also valid: keep your spine straight while you lift, and make a conscious effort to use the muscles in your legs. It’s hard to be neat and clean when you’re in the middle of moving, but leaving toys and knick-knacks on the floor is an easy way to trip and fall. The cluttered mess can also make it hard for your local Tucson movers to get through. Make room for a walking area in and around your home to avoid potential hazards. Always clean up after yourself and keep clutter to a minimum while you pack and transport your boxes and furniture. 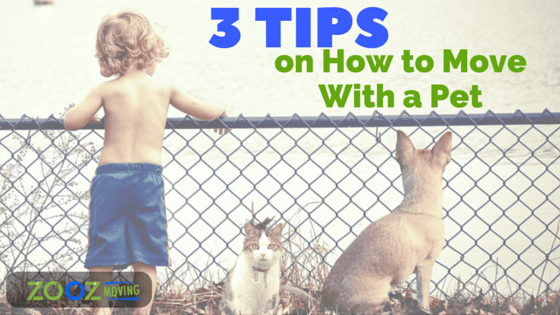 Pets and small children also have a habit of getting underfoot at the most inopportune of times. Play pens and closed room doors are perfect for keeping them occupied and happy until you’re finished packing. There are some pieces of furniture that are going to be just too large and heavy for you to manage on your own. More than just helping with larger items, having someone help you move also lessens the impact of repeated loading and unloading boxes. Here at Zooz Moving, our movers are professionally trained and ready to help with all of your local and long distance moving needs. We offer full-service packing and moving solutions to assist with every stage of your move. No matter what you need moved, whether it be a large piano or a small lamp, we can help you get it done quickly and safely. Discover all the difference hiring a professional and local Tucson mover can make. To get started on your stress-free home or office move, count on Zooz Moving. For more information, contact us today at (520) 447-0900.